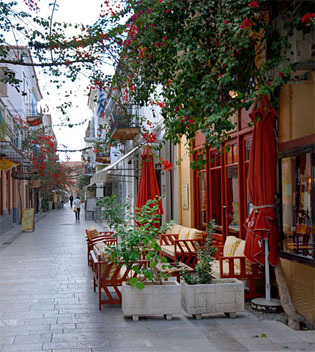 The current Basileos Konstantinou (King Constantine), is the best place to learn about the real, authentic discovery of Nafplio. 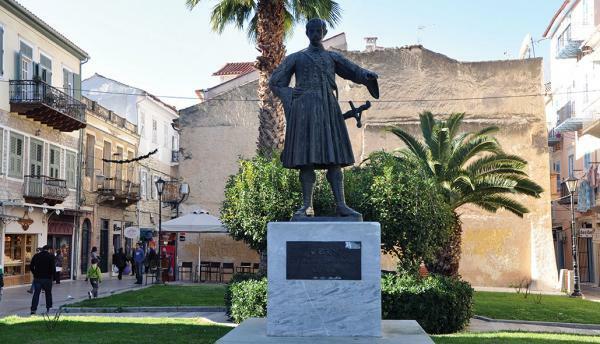 It is the first road constructed by conventional standards in Greece, an initiative of John Kapodistrias, who wanted roads and cities with the same standards of Europe. At the start of the road, King Otto I built his house, known as ‘Palataki’ or little palace, which was burnt down in 1929. Today, his statue stands at the same spot. Some of the houses along the Great Road, dating from the Kapodistrias and Ottoman period, are still preserved to this day. They are built in neoclassical style, with a symmetrical characteristic. Today, the road is an important passage both for residents and visitors of the city. The end of the road leads straight to Syntagma Square.